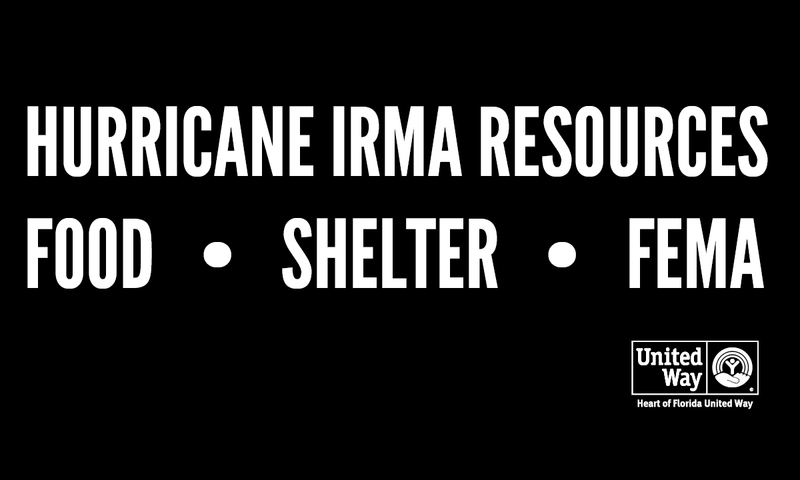 In preparation of of Hurricane Irma’s arrival to Central Florida, we have compiled hurricane resources that can help you before, during and after the storm. This page will be updated as information becomes available. Be sure to follow Heart of Florida United Way on Twitter (@HFUW) and Facebook (@HeartofFloridaUnitedWay) for information as well. Contact 5-1-1 for information about traffic and evacuation routes.